Last week my husband and I attended the monthly Cellar Series dinner at T.Cooks, featuring the wines of Silver Oak and sister winery Twomey Cellars. The dinner was attended by local wine enthusiasts, area food lovers and representatives from the vineyard. Though typically held outdoors, the night we attended dinner was moved into the Vernadero room; a beautiful room featuring a large pietra stone fireplace, original estate chandeliers, and an antique mahogany table. Silver Oak Cellars is a family-owned, California winery established in 1972 by Ray Duncan and Justin Meyer that is dedicated to producing only Cabernet Sauvignon. The also established Twomey Cellars in 1999, where they produce Pinot Noir, Merlot and Sauvignon Blanc. 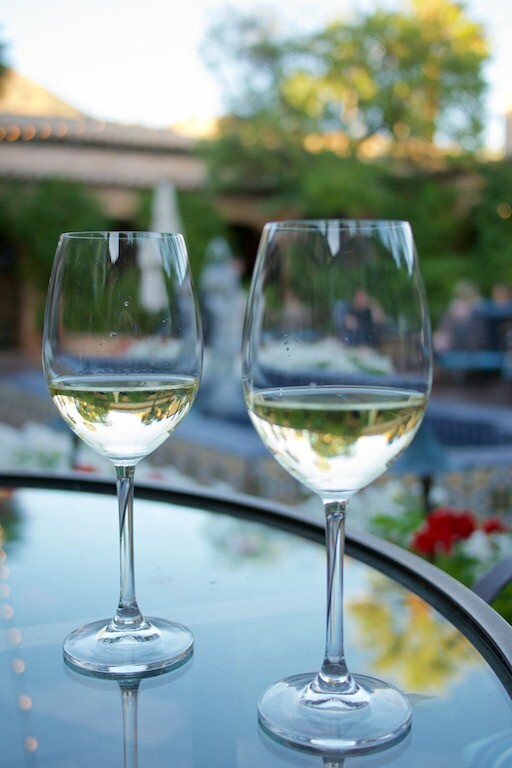 Our evening began outside in the Mansion Courtyard where we were served Twomey Sauvignon Blanc along-side a selection of bites created by T.Cooks' Chef Allison. This sophisticated white wine was refreshing with hints of citrus...perfect for the start of a meal. 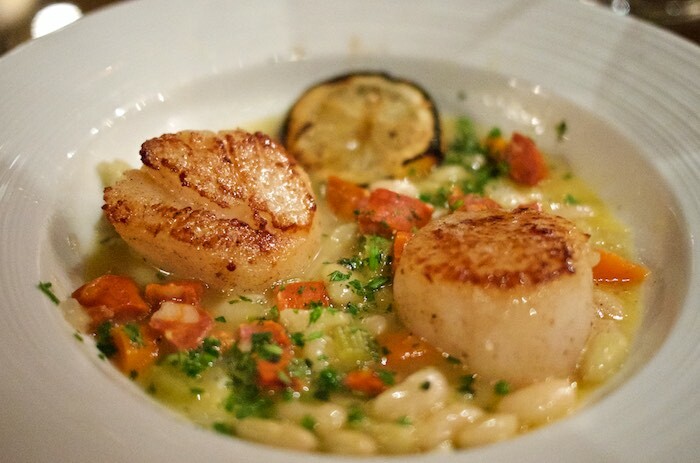 For our first course Chef Allison prepared Maine diver sea scallops accompanied by a cassoulet of Spanish chorizo and flageolet beans. This exquisite combination was paired with the clean crisp Twomey Russian River Pinot Noir. 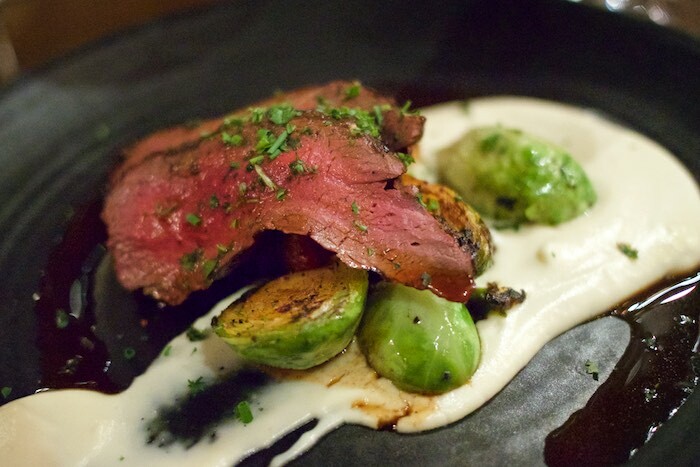 Our second course was New Zealand venison served with Brussels sprouts and a parsnip puree. This course was complimented with generous pours of the Silver Oak Alexander Valley. 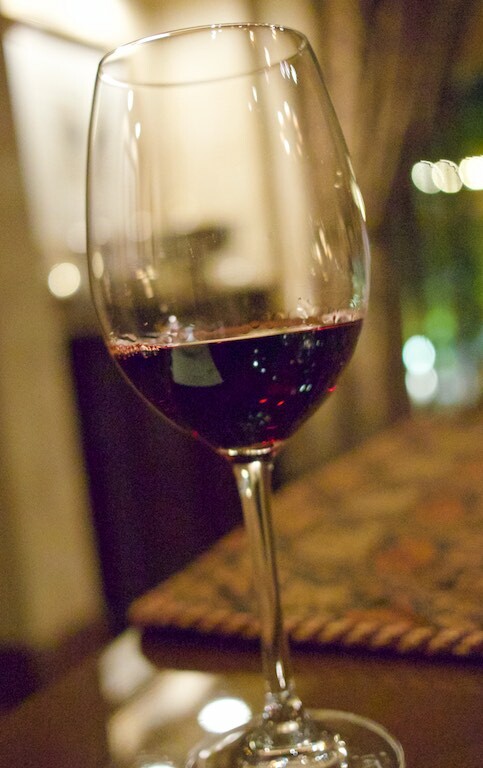 This full-bodied red with bold tannins is a favorite of mine. 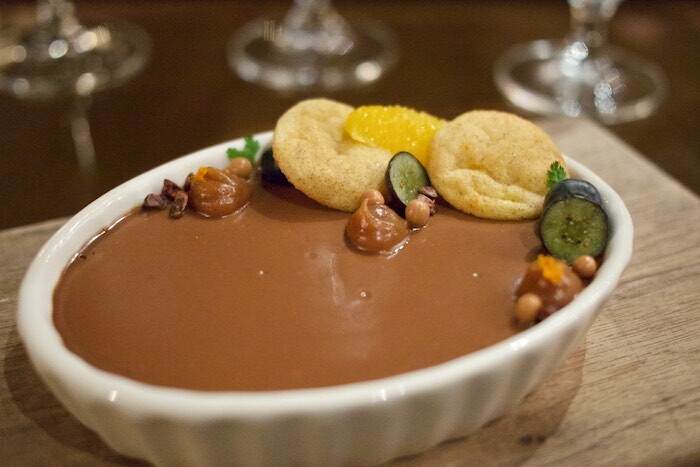 We enjoyed a dark chocolate panna cotta topped with salted caramel and orange snicker doodles for dessert. 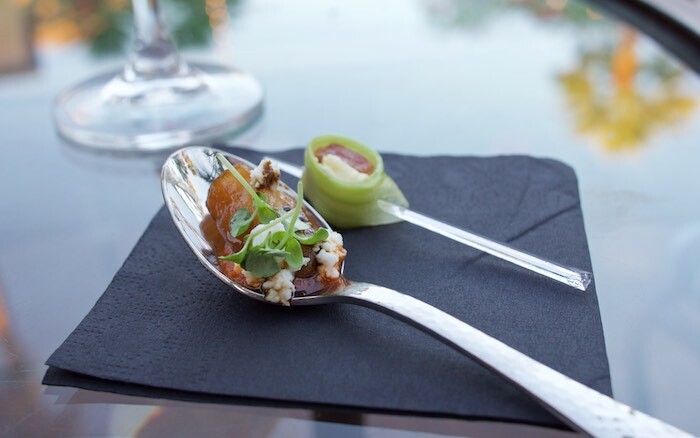 At $120 per person the Cellar Series dinners are a wonderful opportunity to learn about particular vineyards and their wines while enjoying a perfectly curated meal in a stunning atmosphere. 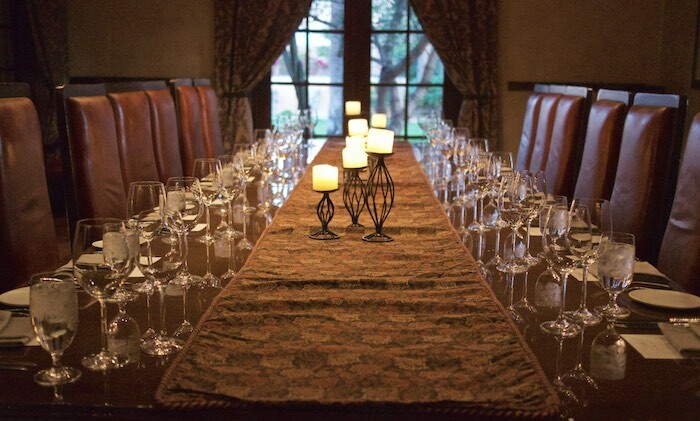 To find out more information about upcoming Cellar Series Dinners contact T. Cook’s (602) 808-0766. I know I've said it before..
What an amazing spread! Everything looks fantastic! The food and wine look like winners to me! This looks like an amazing experience. I've never done a wine tasting or fancy dinner like this. I swear I need to move somewhere that's a bit more in touch with the culinary world. Everything looks so incredible! What a meal. Oh my gosh! That panna cotta has my mouth watering! What a gorgeous vineyard!